Visitation for Marylou Morgan, 87, will be Friday, August 24, 2018 from 5:00 p.m. - 7:00 p.m. at Jeffcoat Trant Funeral Home. Funeral service will be held Saturday, August 25, 2018 at 2:00 p.m. at Village Christian Church of Auburn with Dr. Pat Parvin officiating. (Mrs.) Dr. Marylou Morgan passed away Wednesday, August 22, 2018 at home. She was born February 26, 1931 in Syracuse, New York to Mary Y. Johnson and William Reid Johnson. She earned a B.A. from Wake Forest University, NC, and Master and Doctorate degrees from the University of Tennessee. Marylou taught in the public schools of Fayette Co., KY, and at the University of Tennessee and Auburn University. She also was a State Health Educator for Alabama Cooperative Extension Service. She served as director of the Foster Grandparents Program for Lee and Russell Counties (AL). She wrote numerous published articles on curriculum and facilities and provided consultant services to school systems throughout the southeast. She was a long-time member of Village Christian Church of Auburn, Alabama, serving as a Sunday School teacher and Elder. 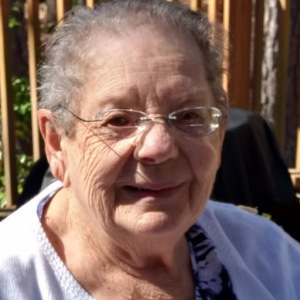 Marylou loved to read, garden, travel, and entertain her grandchildren. She is survived by her daughter, Virginia White (Robert); sons: Tommy Morgan (Nancy) and Pat (Candy); grandchildren: Heather McDonough, Marjie Morgan, Mary Grace Taylor, Pat Morgan, Jr., Laura Morgan, Hannah Morgan, Emily Morgan, Will Morgan, Phillip White, Justin White, 13 great-grandchildren, and many nieces and nephews. A 50-year resident of Auburn/Beauregard, Mrs. Morgan was preceded in death by her husband of 48 years, (Mr.) Dr. Thomas Morgan. The family wishes to thank Home Instead, especially Shaneeka Staples and Katie Hana, for their loving companionship, and the skilled professionals of Compassus. The family respectfully declines the gift of flowers; contributions may be made to Village Christian Church, 700 East University Drive, Auburn, AL 36830.